Roland is the current Vice President of Finance for the Society of Petroleum Engineers International (SPEi) Board of Directors, wrapping up that term in September 2018. Starting in August 2016, he began serving a four-year term on the Board of Trustees for the American Institute of Mining, Metallurgical, and Petroleum Engineers and will assume the role of President in August 2018. From 2011-2014, he also served as the Health, Safety, Security, Environment & Social Responsibility (HSSE-SR) Technical Director on the SPEi Board. He retired from ExxonMobil in August 2014 with 34 years of service, where he held the position of Safety, Security, Health and Environment (SSH&E) Manager for ExxonMobil's Upstream Research, Gas & Power Marketing, and Upstream Ventures business units. He began his career with Exxon Company, U.S.A. as a Project Engineer at the Bayway Refinery in New Jersey in 1981. Since that time, he has held various technical, supervisory and managerial assignments for Exxon, and then ExxonMobil, in the Upstream production, development, and research organizations. Prior to ExxonMobil, Roland also worked for five years in the naval nuclear industry. Roland received his BS degree in Mechanical Engineering from Worcester Polytechnic Institute in 1975, followed by an MBA in Finance from Fairleigh Dickinson University in 1984. Roland also completed the Certified Financial Planner program at Rice University in 2015. 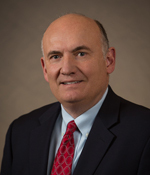 He remains active on various SPE initiatives, including co-chairing the April 2016 Summit with the U.S. Bureau of Safety and Environmental Engineering (BSEE) on "Assessing the Processes, Tools, and Value of Sharing & Learning from Offshore E&P Safety-Related Data." As a follow up to that Summit, Roland is consulting with the U.S. Bureau of Transportation Statistics (BTS) on development of an industry-wide safety data management framework. As part of his involvement with AIME, he will be serving as program chair for a cross-industry sector safety event in June 2020. Hani Henein is a Professor at the University of Alberta and Director of the Advanced Materials and Processing Laboratory (AMPL). Henein earned a B.Eng. and an M.Eng. in Metallurgical Engineering (1972 and 1976, respectively) from McGill University. In 1981, he received his Ph.D. from the University of British Columbia and joined the faculty at Carnegie Mellon University in Pittsburgh, Pennsylvania. He joined the University of Alberta in 1989 and is a registered Professional Engineer in the Province of Alberta. The main thrust of Henein's research at Alberta and as Director of the AMPL is to develop new techniques for improved operation of current processes and to develop new near net shape processing routes. This research entails the understanding of the relationship among processing, structure, and properties and making this understanding accessible on-line to process operators. Some recent areas of interest in research include: particulate mixing and segregation, rapid solidification, zone refining, strengthening microalloyed steels, and WC-Ni composites for wear applications. Henein holds one patent, has published more than 140 papers, edited nine books, and consults in the United States, Canada, and Europe. 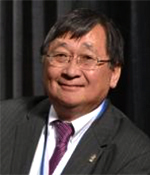 His research and professional efforts have received wide recognition, including best paper awards such as the Henry Marion Howe Medal from ASM International, the John Chipman Medal from the Association for Iron & Steel Technology (AIST), and the Best Paper Award from the Metallurgical Society (MetSoc) of the Canadian Institute of Mining, Metallurgy and Petroleum (CIM). He was given a Presidential Citation from the Iron and Steel Society (now AIST) and was the recipient of the Silver Medal of MetSoc (CIM). He has received the prestigious Killam Research Fellowship and is a Fellow of the Canadian Academy of Engineering, of CIM and ASM International. 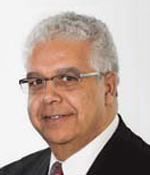 Henein has held senior leadership positions in AIST and TMS. 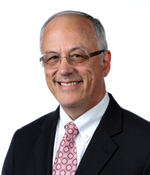 He has served on the AIST and TMS Board of Directors and is a Past President of TMS (2014). 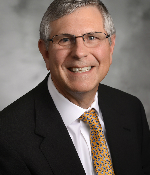 Dr. George W. Luxbacher is vice president of operations with Glenn Springs Holdings, a subsidiary of Occidental. Dr. Luxbacher manages Occidental’s RCRA and CERCLA liabilities related to the oil and gas, chemicals and former mining-business segments. Among other responsibilities, he deals with issues related to acid mine drainage from former coal and copper mining sites. Dr. Luxbacher is the co-inventor of a process to dredge and refine phosphorusbearing sludge into a marketable product and, as part of that work, developed, designed and constructed a phosphorus recovery plant in Tennessee. Dr. Luxbacher is a registered professional engineer and a Centennial Fellow of the Pennsylvania State University’s College of Earth and Mineral Sciences. He earned B.S., M.S. and Ph.D. degrees in mining engineering from the Pennsylvania State University. 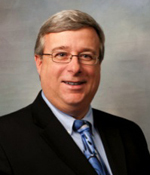 Dr. Luxbacher is a past-president of OneMine.org and a member of the SME Foundation Board of Trustees. He was president of SME in 2008. He is the founder of the Coal & Energy Division scholarship auction and luncheon speaker programs. He has served as chair of the division and on the Executive Committee of the Central Appalachian Section. He served on the ad hoc committee for SME Governance and was a driving force to create the Education Strategic Committee. John G. Speer is the John Henry Moore Distinguished Professor of Physical Metallurgy at Colorado School of Mines, and Director of the Advanced Steel Processing and Products Research Center (ASPPRC). He received a B.S. degree from Lehigh University in Metallurgy and Materials Engineering, in 1980 and a D.Phil. in Physical Metallurgy from the University of Oxford, UK in 1983. He served in various positions at the Homer Research Laboratories of Bethlehem Steel Corporation from 1983-1997, where he was involved in product research, customer and operations support, and research management. He became a Professor in the Department of Metallurgical and Materials Engineering at Colorado School of Mines in 1997, and has also served as Mines' Associate Vice-President for Research from 2008 until he became Director of ASPPRC in 2013. He has received a number of awards such as the AIST Tadeusz Sendzimir Medal and Hunt-Kelly Award, American Iron and Steel Institute Gold Medal, Institute of Materials Charles Hatchett Award, AWS William Spraragen Memorial Award, SAE/AISI Sydney H. Melbourne Award, Villares Prize of ABM (Brazil), Dean's Excellence Award for Teaching and Research-Colorado School of Mines, and the Henry Bessemer Gold Medal from IOM3 in London. John is also a Distinguished Member of AIST and a Fellow of ASM International. Patrice Turchi has been at the Lawrence Livermore National Laboratory, in California, since 1986. He is currently a senior scientist in the Materials Science Division of the Physical and Life Sciences Directorate, after having occupied several managerial positions. He received a Diploma of Engineer in Chemistry from the National Superior School of Chemistry of Paris (ENSCP, France) in 1975, earned a These de Docteur Ingenieur in Materials Science in 1980 and, just for fun, a These d'Etat in Condensed Matter Physics in 1984, both from the University of Paris VI (France). He taught at the University of Paris VI for 11 years and spent a sabbatical year at U.C. Berkeley, right before joining LLNL. information science and computational materials science. His research has focused on electronic structure-based approaches to statics, kinetics, and dynamics of alloy phase transformations. In this century, his main focus has been on the basic science of actinide and rare earth-based materials, alloys for fusion energy, rapid solidification, and more broadly the basic science in support of advanced manufacturing. He has authored over 305 publications, including more than 50 LLNL technical reports; 3 book chapters; and over 175 presentations and 190 invited talks (including keynote addresses) at scientific meetings and research institutions. He has also edited 21 technical books and proceedings, and has 2 U.S. patents. He had several awards, from DOE, NATO, STLE, and LLNL. He is the co-founder of the International Alloy Conference (IAC) dedicated to the interdisciplinary study of the properties of complex inorganic solids, and organized 21 symposia, 6 international conferences, 2 NATO-ASI and 1 NATO-ARW. (More information can be obtained on LinkedIn, Research Gate, and Mendeley). He is a member of APS, MRS, and ASM. He has been active since 1989 in The Minerals, Metals, and Materials Society (TMS) where he served in multiple volunteer activities, and last but not least, he was the 2015 TMS President. Ta M. Li is a marketing and business development specialist for the energy and minerals industry. He received a B.S. in mining engineering from Columbia University and his 50 year career includes assignments in mining operations and management, journalism, mine engineering, sales and marketing. During his career, Li worked for Kennecott Copper at its Bingham Canyon copper mine, SME as editor of Mining Engineering magazine, Golder Associates, Behre Dolbear & Co. and Pincock, Allen and Holt. He also worked for Washington Group International, where he was recognized by four consecutive Lion Awards and the Eagle Award for Outstanding Achievements in Marketing and Sales (2003 to 2007). Li is the author of more than 40 technical articles on open pit and underground mining. He received the Bright Idea Award from the Denver Gold Group, is a Life Member of the American Exploration and Mining Society (AEMA) and a Distinguished Member of SME. He served as President of SME in 2001. In 2010, he received the Lifetime Achievement Award from the Colorado Section of SME. He recently was elected a U.S. representative to the International Organizing Committee of the World Mining Congress, where he serves on its Scientific Advisory Committee to the 24th World Mining Congress to be held in Rio De Janeiro, Brazil in 2016. Dr. Kevin L. Zeik graduated from The Pennsylvania State University with a Ph. D. in Metals Science and Engineering in 1991. His graduate work was focused on copper – niobium microcomposites for the hypersonic aerospace program, working as a Researcher at the Ames Laboratory, Iowa State University. Upon graduation, Zeik joined the United States Steel Corporation Research Center in Monroeville, PA as a Senior Research Engineer working on electron microscopy and surface sciences of steel products. In 1994, he moved into the failure analysis group as an Associate Research Consultant, and two years later, he was named Research Manager for the failure analysis, computer modeling and welding groups. Zeik moved to the Materials Technology section in 1999, serving as Research Manager of the group until 2002, when he advanced to Technical Director. In 2004, Kevin was named Director – Process Technology Division where he oversaw efforts to improve process efficiency from mining operations through iron and steelmaking and into finishing and coating processes. He focused on the adaptation of existing processes and development of new processes to meet the demands presented by the production of new high performance steel grades. In that year, the Research and Technology was moved to its current location in Munhall, PA. In August 2008, he was advanced to his current position, General Manager – Research for United States Steel Corporation where he is now responsible for directing all research and development activities associated with flat rolled and tubular steels and steel solutions. He has been a member of AIST and its predecessor organization, ISS, for over 20 years. He has held the positions of Chair – Mechanical Working Division of ISS, and served on the Board of Directors of AIST, including the transition team from ISS to AIST. Dr. Jennifer L. Miskimins is an Associate Professor and the Associate Department Head in the Petroleum Engineering Department at the Colorado School of Mines. Dr. Miskimins holds BS, MS, and PhD degrees in petroleum engineering and has split her career between industry and academia with appointments at the Colorado School of Mines, Marathon Oil Company and Barree & Associates. She has been with the Colorado School of Mines in various capacities since 2002. Dr. Miskimins is currently the Completions Technical Director on the SPE International Board of Directors serving a term through September 2018. She was an SPE Distinguished Lecturer in 2010-2011 and 2013-2014 on hydraulic fracturing in unconventional reservoirs. In 2014, she was awarded the SPE International Completions Optimization and Technology Award. Dr. Miskimins serves on a variety of conference organizing committees and as a technical editor for various journals. She is a registered Professional Engineer in the State of Colorado. 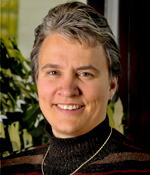 Michele Lawrie-Munro has been the Executive Director of AIME since 2011. She was promoted from Interim ED in 2009 and Associate Executive Director before that from May 2003. Her recent experience includes leading multi-disciplinary, collaborative efforts. In addition to the not-for-profit arena, she has used her management and marketing skills in the public and private sectors for telecommunications and professional services firms. She has been involved in research, leadership development and recognition initiatives, and been a liaison on systems requirements. She has previously volunteered in leadership positions with the Palmer Lake Historical Society, Boy Scouts of America and the Hugh O'Brien Youth Foundation. She received the Certified Association Executive (CAE) designation in 2014 and has a bachelor's degree from the University of Colorado, as well as extensive corporate leadership training. In her spare time she likes to motorcycle, ski, hike, bicycle, cook, and garden. Her e-mail address is LawrieMunro@aimehq.org.